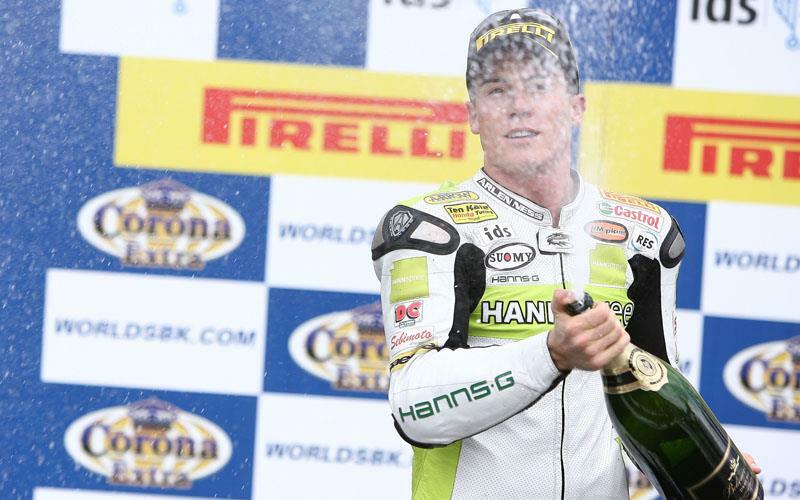 James Toseland will sit down with his manager Roger Burnett today (Tuesday) to evaluate his options to either ride in MotoGP or stay in World Superbikes with Honda in 2008. James Toseland has a lucrative deal on the table from his current Ten Kate Honda squad to remain in World Superbikes to campaign the new Honda Fireblade next season. His current World Superbike Championship-leading form has seen him become a target of MotoGP’s Gresini Honda, D’Antin Ducati and Yamaha Tech 3. With the MotoGP season currently now on its summer break, Roger Burnett is understood to have received firm offers for each of the rides. Toseland arrived back in the UK from the Suzuka Eight-hour race on Monday night. His debut Eight-hour race didn’t go to plan with the British star crashing out just three laps into his first stint, ruling his number one HRC squad out of the race. Despite this set-back Honda bosses remain determined to keep James Toseland on a Superbike next year and held meetings with the 26-year-old after the Suzuka race. Speaking to MCN, Roger Burnett said: “James got back yesterday so it’s a case of sitting down together and looking at all the options.